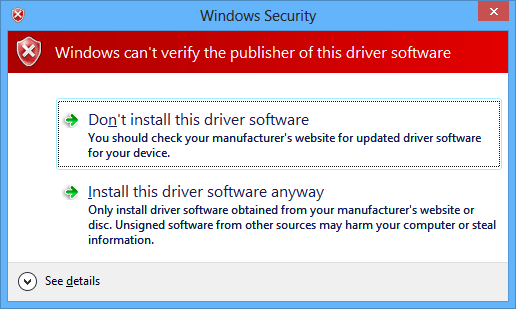 Signature verification feature in 64 bit versions of Microsoft’s Windows 8 and 8.1 sometimes become a mess when you have to install some drivers and the program compatibility assistant just pops up telling you that you cannot install this driver on this computer or it blocks the installation of the driver and required you to check the digital signature on the developer’s end. Basically, Signature Verification contains an Electronic-Fingerprint that determines whether the driver is developed by the same manufacturer as that of the device’s and also whether the driver has been modified or not (it’s digitally signed or not). The only purpose of Driver Signature Verification is to improve the security of the hardware of the device so that invalid or malfunctioned driver does not cause any harm. The reason we’re here today is already explained above but needs a little more light, so to make it clear I’ll just share my very own experience. A few days back when I wanted to root my Xperia Z1, I had to install Android ADB & Fastboot drivers and also Sony’s flashtool and it’s flash mode and fastboot drivers were required. While installing Flashmode and Fastboot drivers, the Program Compatibility came up and shown the install blocked status. This caused a huge problem as I wasn’t aware of it before and I had to install a custom recovery on my phone in order to root it. A little search helped me to find out that it was a driver signature verification problem and the solution was way too easy as it required me to just turn off the driver signature verification. This actually delayed the recovery installation and root process and my phone and having that done, it also teased me a bit. While our main focus here on the site is covering all the stuff from the world of Android and we’ve to go through various Android guides every day, driver signature verification is one of the factors affecting the guides as well so to make it clear, we’re with the guide that will explain to you how you can disable it on your Windows 8 or 8.1 powered PC and get rid of the signature verification install block errors. Move your Mouse Pointer to the right side of your PC’s screen in order to get into the configuration bar in Windows 8. 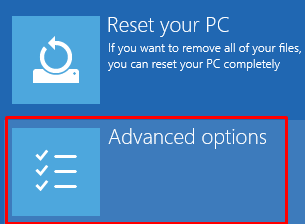 In settings, click on “Change PC Settings”. Once in PC Settings, click on “Update & Recovery”. 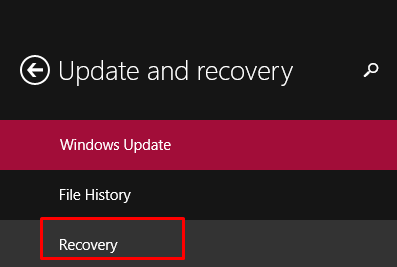 In update and recovery click on “Recovery”. Now in recovery, on the right side, you will find Advanced Startup Option. 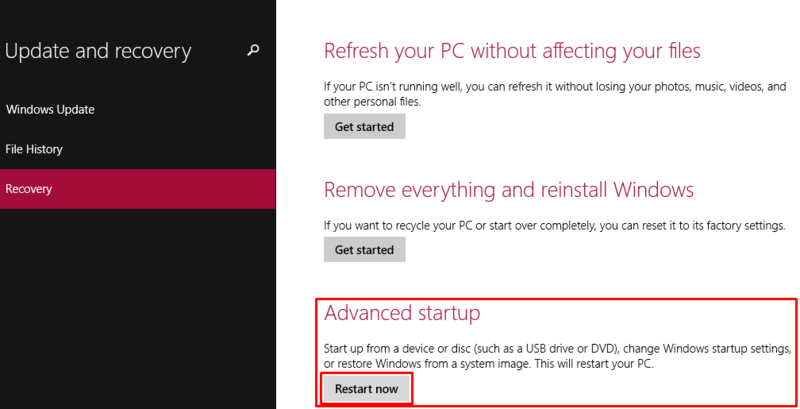 Click on “Restart Now” under the Advanced Startup option. 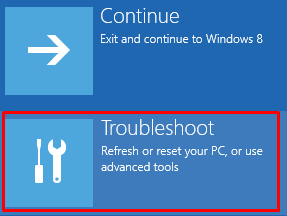 Your Laptop or PC will restart now, once it boots into the Advanced startup mode, click on Troubleshoot. In troubleshoot, click on “Advanced Options”. 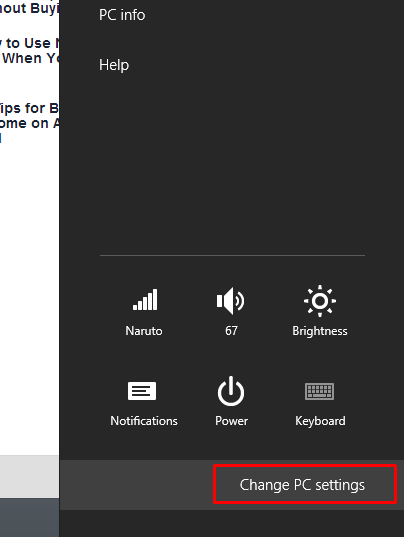 In Advanced Options, click on “Startup Settings”. 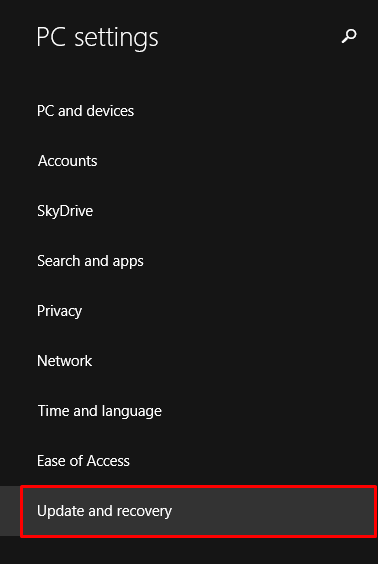 Startup Settings menu will show you the options you can have once you click on “Restart” button. You will now have the choice to pick up the action you want to take, it is most probably Driver Signature verification here. Pressing F7 key will do the job for you. 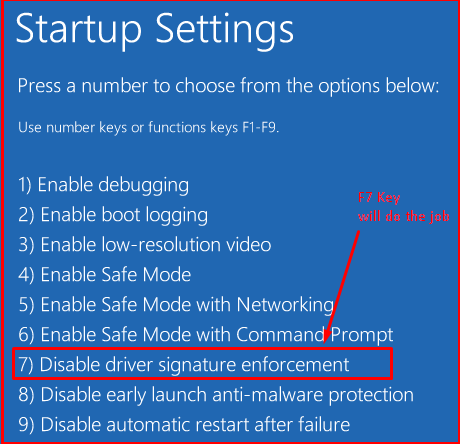 As ssoon as you press the F7 key, your PC or Laptop will reboot having the Driver Signature Verification disabled.